Questions about Simmons Beautyrest Mattress Warranty and a Futon Mattress. Home → Futons → Futon Mattresses → Questions about Simmons Beautyrest Mattress Warranty and a Futon Mattress. Wow, Pete! I am I happy to have found you! I think you are just the right entity to help me…. I have a Simmons Beautyrest mattress that just had a spring pop through, ( at the edge of the mattress). The tag is still attached – but does not have the model name. It has a manufacture date of 10/25/05 – we bought it new. The warranty info is : SO 05075534-001000 SO; warranty Code A : Serial # is 05000002740 – Reg # PA 25425 CA… am I covered? I also saw your futon section on your web site!!!! We have long had a futon – works well for us with guest and – well we’ll leave it at guests :). We replaced the mattress, some time ago. It was not as good as the first, so we may buy one from you with your advice. I SOOOOOOOOO appreciate, in advance, anything you can help us with! Will tell everyone I know about you! It looks like you’re beyond the 10 year warranty. But, check the date on your receipt, which you will need to initiate a warranty claim. We have one of those futons in a guest room. We opted for the mattress with the individually pocketed coils inside. 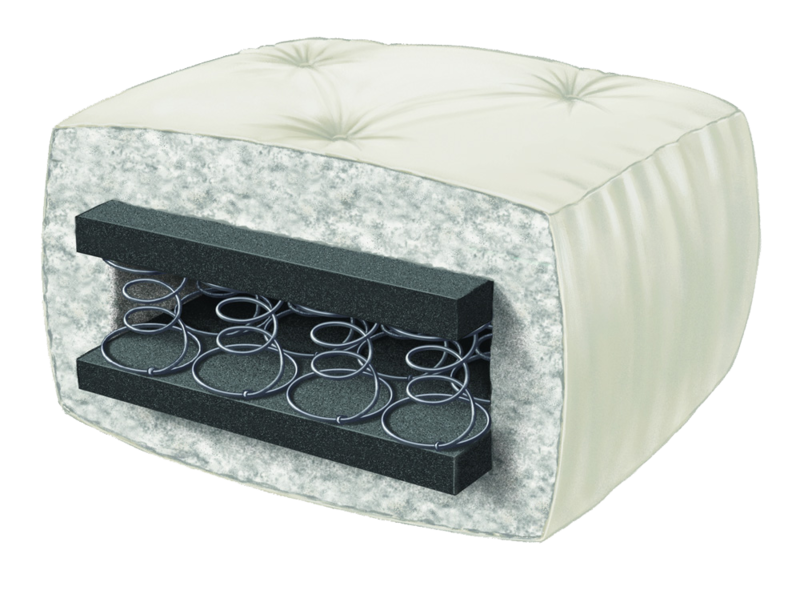 The Wolf USF 8971 (USF-18) Futon mattress is an 8″ mattress with an individually wrapped coil unit as its core surrounded by Visco, memory foam and CertiPUR foam and then covered with Wolf’s own cotton batting. FedEx Delivery is Free and there’s no sales tax.